My arms are not strong enough. Well we need to start some where whether we think we are strong enough or not. When I started rock climbing in my late 40s, I could maybe do one pull up but then I would be out of commission afterwards. 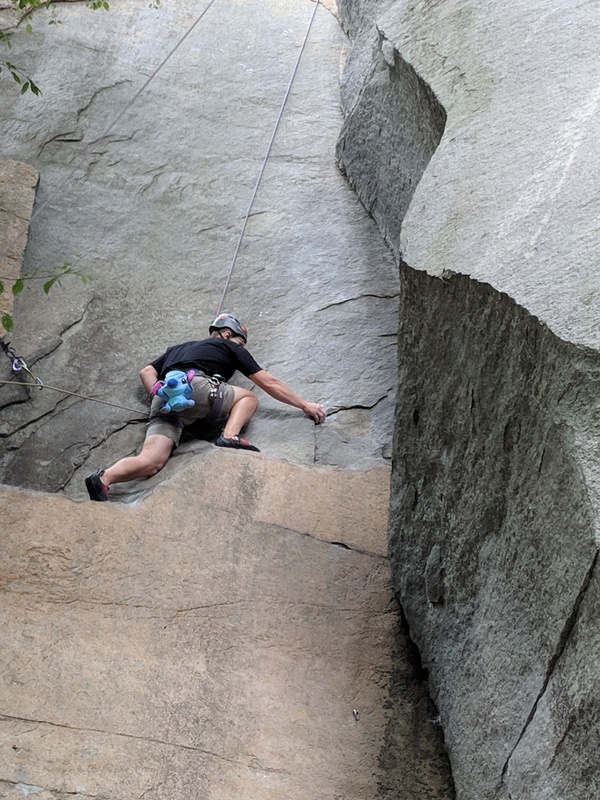 My focus was not so much as strength in the arms but how much fun it was to look for an efficient way to reach for the next hold. Women are naturally lower center of gravity than men so the balancing on the rocks sometimes come easier for women than men. Our legs are stronger than our arms so therefore, I totally took advantage of them until I slowly build up strength in the buttock, arms and core. All the muscles intertwine with each other. 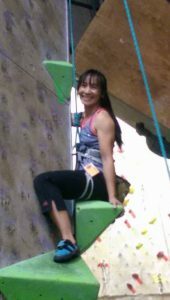 Therefore, women develop better techniques naturally and quickly because we do not rely solely on strength to rock climb. Here are five best exercises for rock climbing to help beginners feel less intimidated by the rock wall. Keep in mind always have a good posture when doing these exercises. Lead with your chest, chin slightly raise, head line up with your shoulders, shoulder rotate back and by your side, relax, breathe and not tense up. Practice deep lunging and balance such as warrior I, II or III poses in yoga. Doing lunges help strengthening the thigh and the buttock for dynamic motion when you use your left leg or right leg to lunge into the next rock hold. This happens pretty often in sport climbing where I find myself having to side lunge into the next hold. This also help activate and strengthen your core. Hang with elbow slightly bent (not completely straight because you don’t want to strain your elbow) from the pull up bar for at least 10 seconds. Increase your seconds as it get easier each time. This help strengthen the forearm grip as well as your shoulders and back.If this is too easy, you can also bring your legs up to your chest as a tuck and hold. The next progression would be having your legs straight out in a pike position like an L shape with your body and hold for 10 seconds. This will work out your core as well as your shoulders, back, and forearms.Have you ever notice the forearms of the really good rock climbers? They are humongous! It reminds me of Popeye’s forearms. Do a google on the images of a female rock climber such as Alex Puccio. Her forearms are amazing. I cannot display her images here without permission so you can find them on your own if curious. Pull ups with forearm or overhand grip and also underhand grip. You can start with one and then gradually build up to more if you like. Each grip emphasizes different muscles. The overhand grip engaged the upper back muscles more while the underhand grip engaged more of the biceps. Both grips work on the biceps, triceps and upper back. Yoga plank or push up position pose. Hold from 30 seconds to 1 minute. You can build up for a longer time if necessary. This exercise strengthen the core muscles which includes the abdominal, the back, and the pelvic muscle. These are five simple and best exercises for rock climbing and especially for beginners. Notice that some of the exercises involve yoga positions. Yoga is an excellent form of exercise that will help with strength and endurance in rock climbing. Have fun with. When you are ready for a challenge check out our article on more intermediate advance techniques. As always if you have additional questions or comments, please leave your thoughts below. 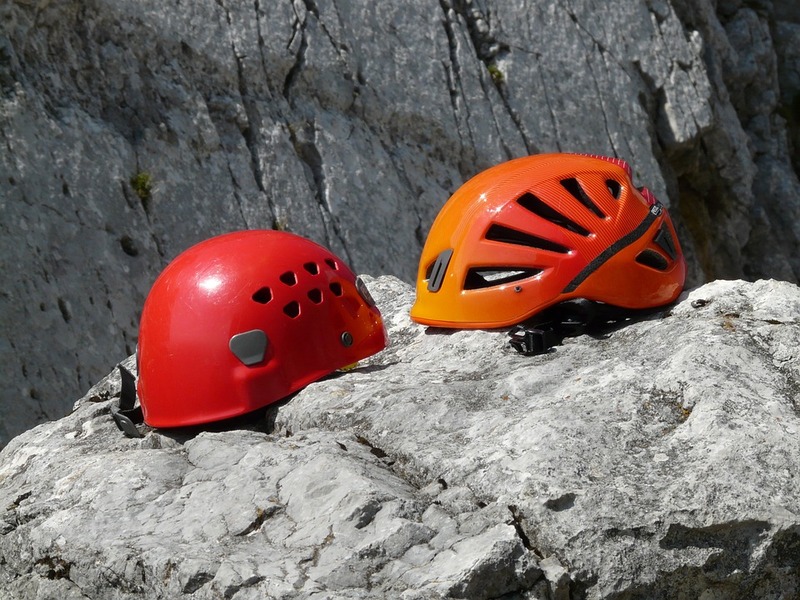 Black Diamond Belay Device – Reviews of Which One Works Best for You?